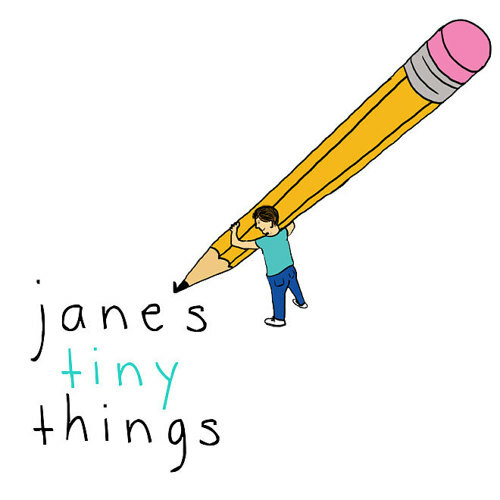 You might recall the first time I posted about Jane's Tiny Things bookmarks few months ago. 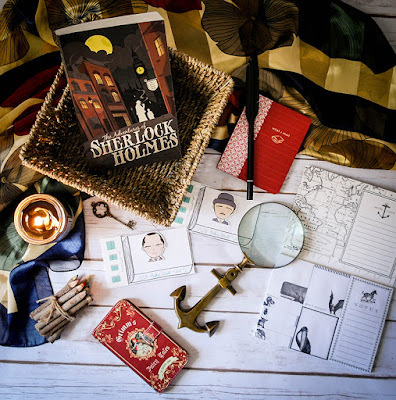 Today I'm back with round two of the feature and I have some absolutely marvelous new bookmarks to show you! Over the past couple of years, I have become a self-proclaimed bookmark hoarder. I don't really use them - ha! They're way too pretty for that :D But I do collect them, because they're unique and bookish and just oh-so-lovely! 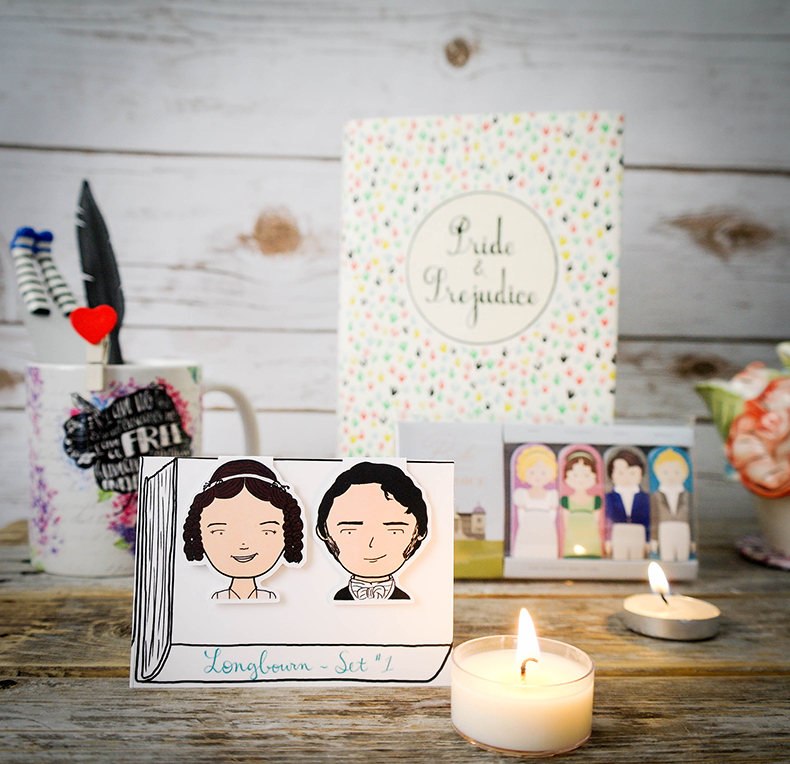 And like I said before, out of all the Etsy stores, Jane's Little Things is probably the most unique, because her creations are hand-drawn and very different in style. AND - most importantly - they come with a quote on the back! How amazing is that?! I love Jane's bookmarks so much, but they're not the only thing you can find in Jane's Tiny Things store. Jane also makes these amazing sets of hand-drawn nail decals, and I think the one with books and feathers is my favorite one by far! A super hot item right now (and, well, always!). 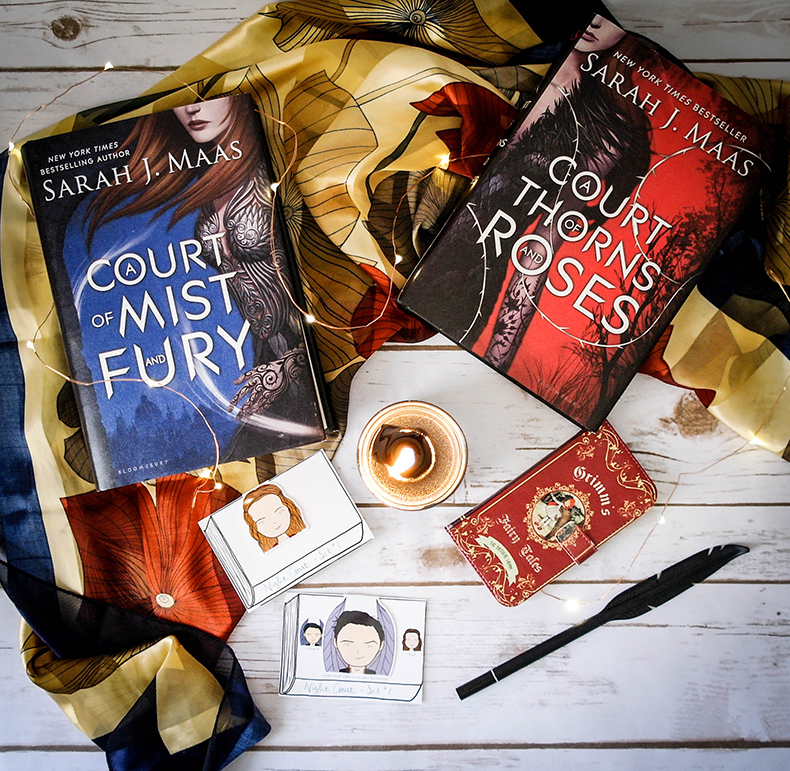 I posted a photo of these on my Bookstagram and it got some crazy love, because HELLO, Rhysand and Feyre! I really love these! They're so cute and unique, you guys! Jane did an amazing job drawing the characters yet again, and she picked great quotes for the back of the bookmarks, too! 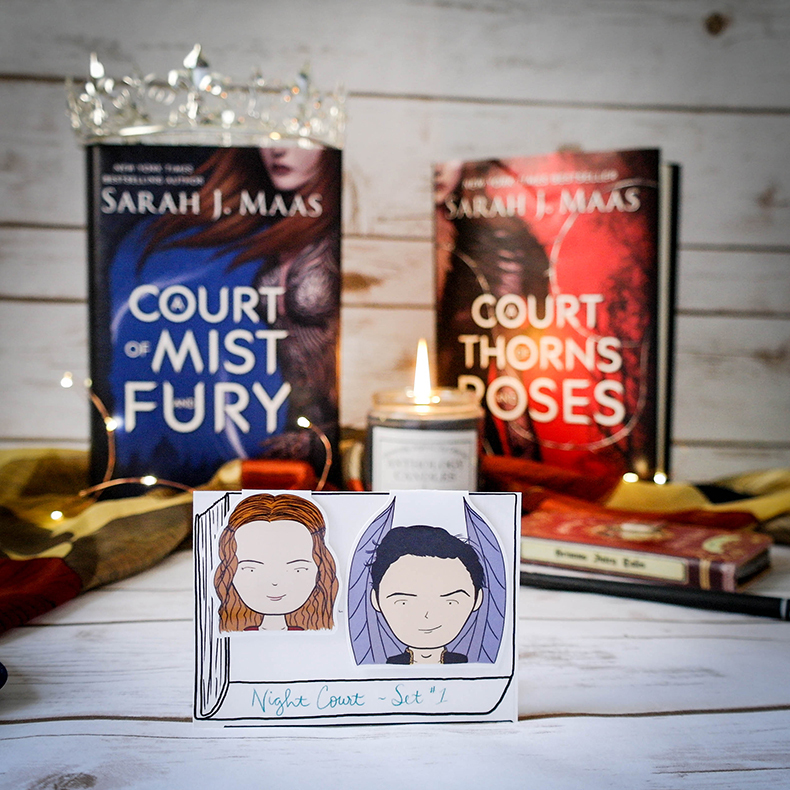 The Rhysand one has our favorite ACOMAF quote: "To The Stars Who Listen and The Dreams That Are Answered." and Feyre says: "II was a Survivor, I was strong. I would not, could not be Broken." 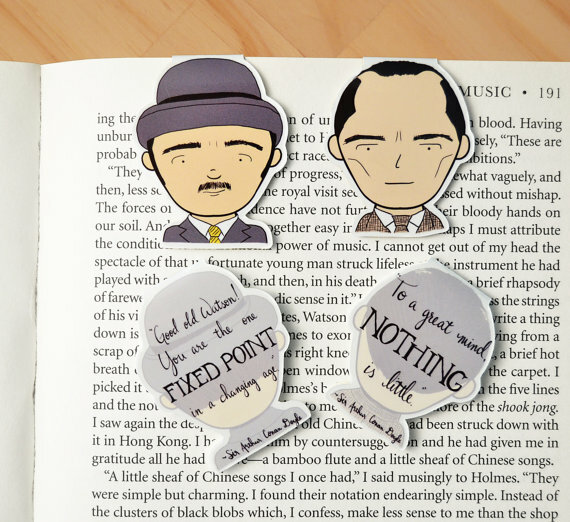 The Sherlock and Watson bookmarks are right on point, you guys! So quirky and spot on with all the details! 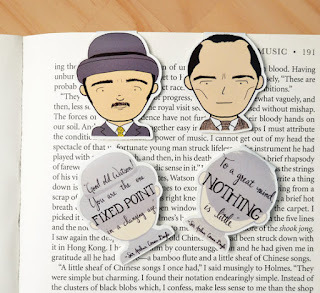 The Sherlock one says: "To a Great Mind nothing is Little." and the Watson one says: "Good old Watson! You are the one Fixed Point in a Changing Age." Again, Jane picked awesome quotes. 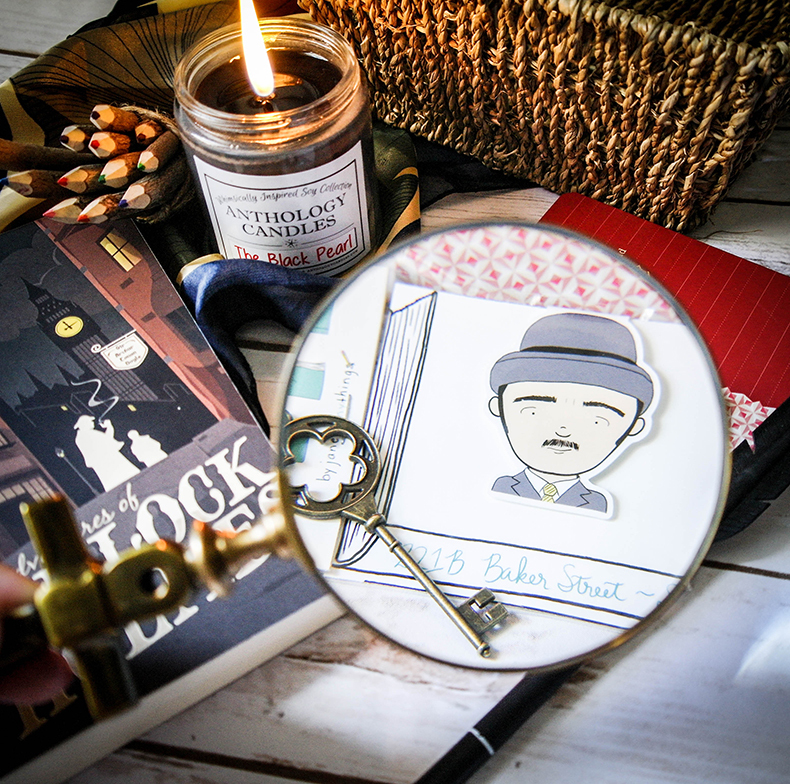 I love taking photos of these, they go so well with my edition of Sherlock Holmes from Rock Paper Scissors! And if you'd like to stock up on the sheer awesomeness, use code: EVIEBOOKISH to get 15% off! 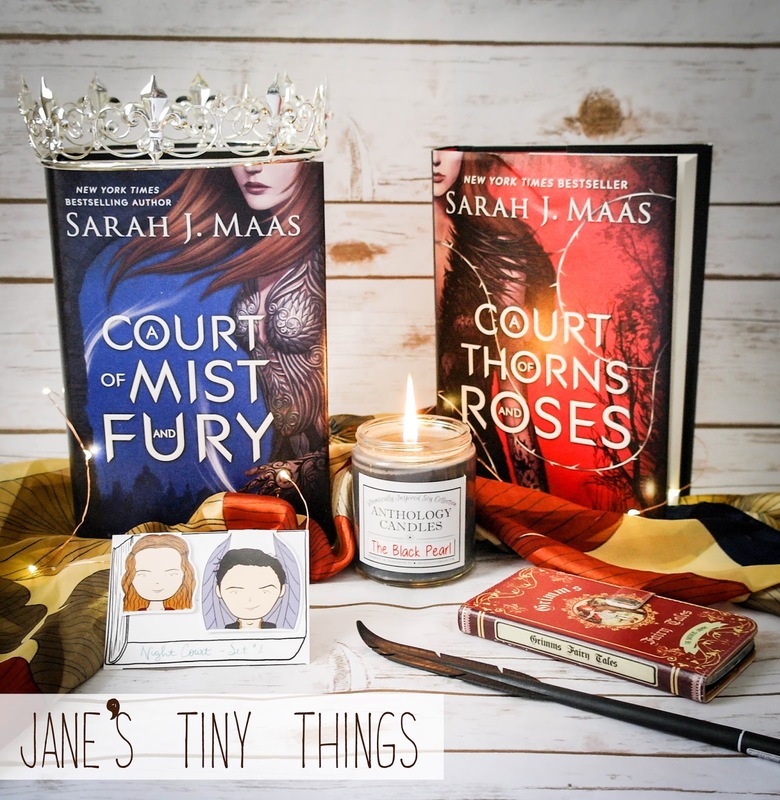 If you'd like to check out my previous feature of Jane's Tiny Things, click here!